A fire at a Shifnal industrial estate this afternoon caused trains travelling between Wolverhampton and Shrewsbury to be cancelled. Firefighters from Telford Central and Wellington were called to the fire at Deans Telford Ltd off Lamledge Lane at 4.48pm. The fire involved one container trailer and four other vehicles. 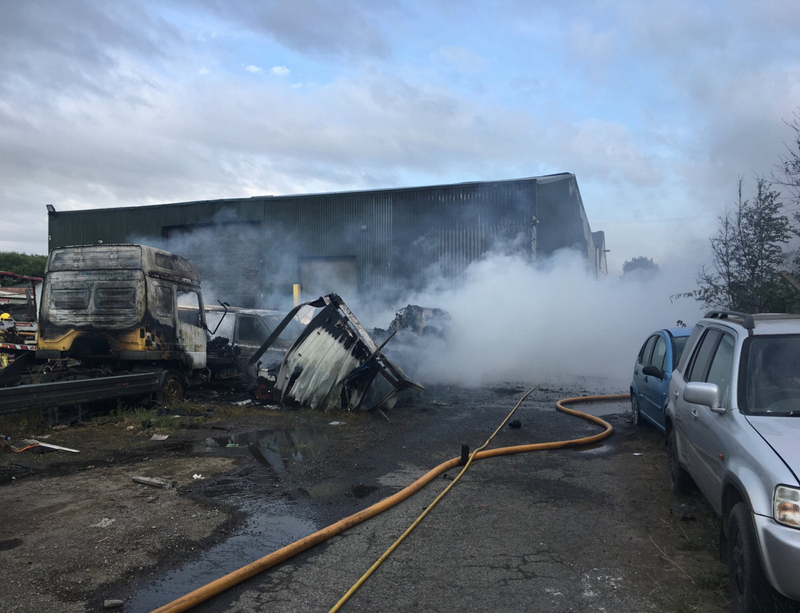 Shropshire Fire and Rescue Service used six breathing apparatus, two hose reel and two main jets to extinguish the fire. Arriva Trains Wales and West Midlands Railway services were halted following the fire. Due to a fire near the railway between #Wolverhampton and #Shrewsbury, the line is currently disrupted. Services through these stations may be delayed. More info when I have it.